In the past few years, heat transfer printing was mainly used in the printing of novelty items, such as polyester tops and t-shirts. 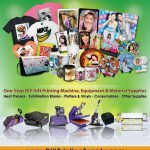 But today heat transfer printing has gained significant importance and favor in several industries – especially in the personalized gift industry as an alternative for printing more unique personalized gifts with no minimum order quantity (MOQ). by-products. It is the perfect medium for the demands of today’s marketplace. What do you need to have for heat transfer printing? 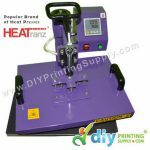 A heat press machine is engineered to imprint a design on a substrate such as a t-shirt, with the application of heat & pressure for a preset period of time. 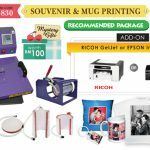 With high-quality sublimation inks and sublimation papers, the printing on gift items will be durable and vivid. 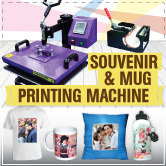 Heat transfer printing helps you to create more than 200 types of personalised gifts products. Heat transfer printing also helps you to generate extra income as it required low capital but provides high profits. 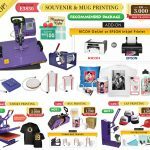 With DIYPrintingSupply.com Today. CALL US NOW!!! 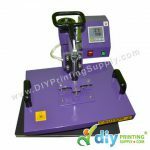 What is Heat Press Machine or Heat Transfer Machine?